When you visit Pearl Realty, Ali Sandoval is likely the first person you’ll meet. Ali completes our dynamic support services team as the Listing Coordinator. She’s bright and driven. But most importantly, in this role, Ali can multitask – all while maintaining accuracy. 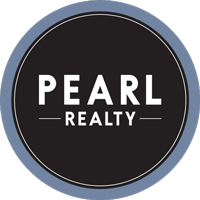 Any new listing Pearl Realty obtains, Ali enters every detail into the Coeur d’Alene and Spokane Multiple Listing Service. She tracks any price changes to a listing during its term and also assists with transaction coordinating by communicating with our clients throughout the sale from open of escrow to the transfer of ownership. Once a listing is sold Ali notifies each MLS and makes sure the file is electronically uploaded and filed properly. In addition, Ali is our receptionist - answering incoming phone calls and greeting everyone when they enter the brokerage. From a very young age, Ali enjoyed hard work. Whether it was working alongside her father irrigating their family property in her little red rain boots to helping her neighbor distribute a makeup line, Ali has always been motivated. At just 17, she graduated high school from the Idaho Virtual Academy and was promoted to shift manager at a local made-to-order pizza shop. Outside of work, Ali keeps a rigorous schedule. She rises before the sun to hit the gym by 4:30am every weekday. She and her fiancé, Kyle, enjoy fitness and in 2018 they combined their love of the outdoors, exercise and travel by competing in the Spartan Trifecta – finishing three Spartan Races in Seattle, Calgary and Big Fork. Wedding bells are in the very near future as Ali and Kyle prepare to say their “I-dos” this June. And if you ever want your dog trained, ask Ali. Their new 100-pound Bouvier puppy, Rogue, will greet you, sit and roll over on command.